Accidents like motor vehicle and slip and fall accidents typically result in injury, and with injuries come sometimes life-changing consequences for victims, including costly medical bills and perhaps even permanent disability. The most serious injuries, like spinal cord injuries, can forever change the course of an Atlanta accident victim’s life, possibly preventing him or her from ever returning to work, earning an income, or even performing everyday tasks like walking up and down the stairs. In addition to the physical suffering that spinal cord injuries inflict upon a victim, the expenses associated with injury treatment, rehabilitation and the assistance required for daily living may prove to be more than an accident victim can handle on his or her own. If you have suffered from a spinal cord injury caused by an accident in Georgia, let our Atlanta spinal cord injury attorneys at Rechtman & Spevak help you fight for your legal rights. Spinal cord injury is a major cause of long-term disability in Georgia and across the United States. Georgia sees a number of devastating spinal cord injuries annually, caused by car accidents and other types of Georgia accidents. In the United States, about 12,000 new cases of spinal cord injury are diagnosed each year, a figure that doesn’t even take into consideration spinal cord injury victims who die before reaching the hospital. There are approximately 259,000 Americans currently living with a spinal cord injury, and the average age at the time of injury is 40.2 years, which means these individuals have years of treatment and suffering ahead of them. 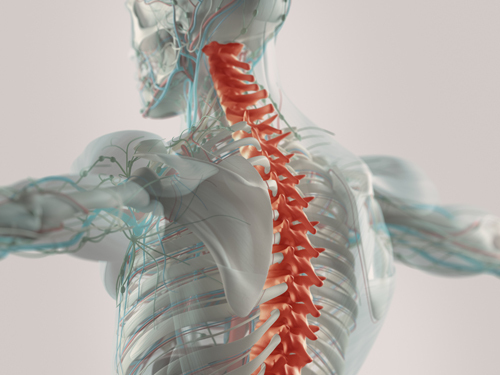 Nearly half of all spinal cord injuries in the United States are caused by motor vehicle accidents, including collisions and rollovers, which are usually completely preventable. One of the most common causes of car accidents in Georgia is distracted driving, in which a person is operating a motor vehicle while distracted by a cellphone, a GPS device, or otherwise driving inattentively. Distracted driving is a form of negligence, a term which means the at-fault person failed to practice a reasonable standard of care; in this case, referring to the responsibility drivers have towards other drivers and pedestrians on Georgia roadways. There is currently no way to reverse damage to the spinal cord, and spinal cord injury treatment typically focuses on preventing further damage and helping the victim manage the life-changing injury. Unfortunately, the expenses associated with spinal cord injury treatment are typically costly. Initial hospitalization costs following a spinal cord injury amount to about $140,000, while average first-year expenses total approximately $198,000. Even more shocking, the average lifetime costs for quadriplegics is $1.35 million. Fortunately, a spinal cord injury is defined as a “catastrophic injury” in Georgia, which means workers who suffer this type of injury at work can receive income benefits for life instead of for only 400 weeks, which is typical of a temporary total disability workers’ compensation claim. The long-term effects of spinal cord injuries depend on the type and location of the injury. Unfortunately, severe spinal cord injuries can result in the complete loss of sensation and movement below the level of the injury, and possibly even death. Injuries very high up on the spinal cord can result in the devastating loss of many involuntary bodily functions, including the ability to breathe, to control body temperature and to regulate blood pressure. The leading causes of death for people with spinal cord injuries are pneumonia, pulmonary embolism and blood poisoning. Spinal cord injuries can change a victim’s entire life in just the blink of an eye, often resulting in permanent physical disability, exorbitant medical bills and emotional pain and suffering. If you or a loved one has suffered a spinal cord injury resulting from an accident in Georgia, contact our Marietta spinal cord injury attorneys at Rechtman & Spevak today. You may be entitled to financial compensation for your injuries, medical costs, rehabilitation, future medical care, lost wages, and other damages, which you can pursue by filing a personal injury claim against the person found liable for your injuries. If your spinal cord injury was caused by another person, you shouldn’t be left to deal with the resulting hardships on your own. With the help of our experienced spinal cord injury lawyers, you can protect your legal rights and seek fair and timely reimbursement for your injuries.